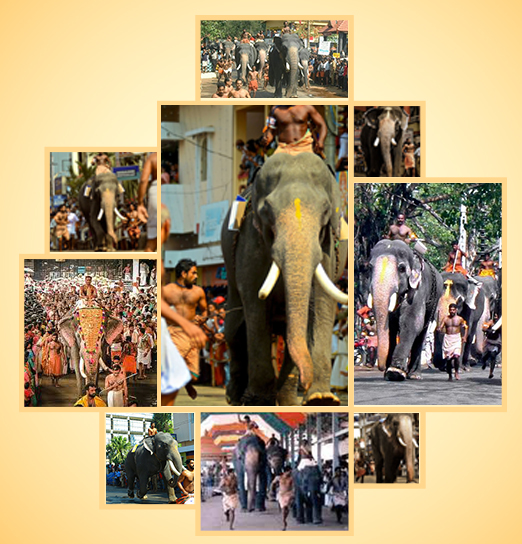 Guruvayur, the Utsavam lasts for ten days. Beginning on the day of Pushya (the 8th asterism) in the month of Kumbham ( February-March), it ends after the Aarattu on the 10th day. Palli Vetta (royal hunt) is held on the ninth day of the festival. And after deeparaadhana the Lord is taken out of the temple in a procession. The aaratt is held on the tenth day of the festival. After the aaratt, the idol is worshipped in the temple of Bhagavathi (Mother Goddess). This is the only day when the principal deity of the Guruvayur temple is given mid-day worship outside and circumambulates by running 11 times, followed by lowering of the festival flag. Chembai Sangeetholsavam to start on Nov 4 th Ekadasi day at Sree Krishna Temple, Guruvayur. 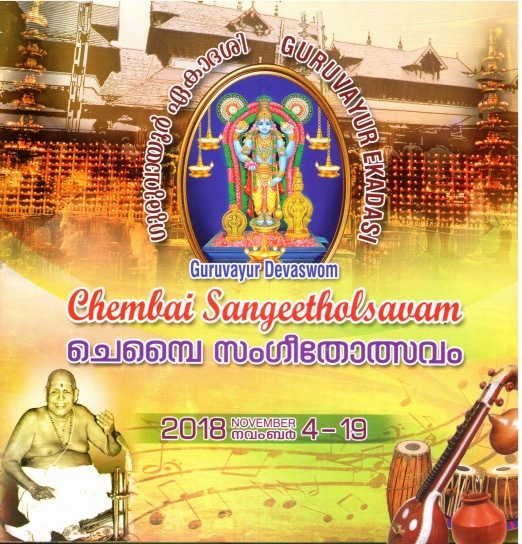 Organized by Guruvayur Devaswom Chembai Sangeetholsavam is held annually for 15 days in memory of the exceptionally talented Carnatic musician, Chembai Vaidyanatha Bhagavathar who was an ardent devotee of Sree Krishna. The maestro attributed all his success to Guruvayoorappan & used to conduct the festival in the temple town during his lifetime. After his death in 1974, the Guruvayur Devaswom board took charge and aptly named the festival Chembai Sangeetholsavam in his memory. The festival which was held for three days, in the beginning, has been gaining popularity over the years, and is now held for two weeks, and attracts more than 2000 Carnatic Musicians. HASSLE FREE DARSAN OF LORD GURUVAYURAPPAN..!!! Five People can have Direct Darshan when you offer "Ney Vilakku" (Ghee Lamp) Rs 4500/- (Including Prasada Kit).